A development group wants to add another high-rise to the downtown warehouse district, potentially uprooting a mainstay in the city's dining scene. The group is proposing a 33-storey building at 10149 and 10145 104th Street. The latter address currently houses the popular Blue Plate Diner restaurant. 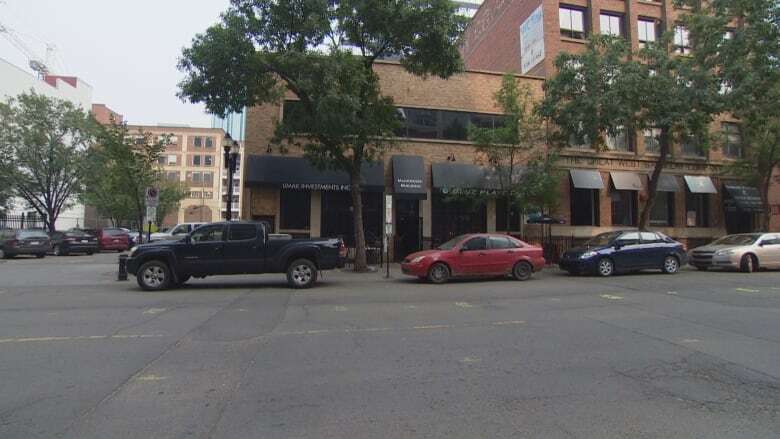 In a notice posted Thursday, the group — comprised of Limak Investments and Urban Capital, working with Dialog Design and Lemaymichaud Architecture — said it wants to rezone the properties from a heritage zone to a site-specific development. The current heritage zone doesn't offer specific protections for older buildings, said Travis Pawlyk, a senior planner with the city. The building that houses the Blue Plate Diner has no legal protection as a designated historic resource, nor is it on the inventory of buildings with heritage value. "There are no strict protections. The zone provides guidance and regulations, that any new builds have to fit within the area," he said. "The new builds [must] reflect some of the character elements of the older buildings. So, the type of materials — brick or masonry — the placement of windows, and the overall esthetic of the first five floors respond to those old warehouse buildings." The heritage zone already allows construction of new high-rise buildings. But Pawlyk said that by seeking a re-zoning to a site-specific development, the developers could add additional density or uses to the site. Limak Investments could not be reached for comment on Thursday. It has not yet submitted a formal re-zoning application to the city, and the project is considered to be in the pre-application phase. The popular commercial stretch of 104th Street already houses several modern high-rise condo towers, including Icon Towers and Fox Towers. The development group is proposing a hotel and condominium development with a height of 112 metres. Preliminary plans include a three-storey podium, consisting of hotel and residential lobbies, along with commercial space. That would be topped with a 13-storey hotel, followed by another 17 storeys of residential condominiums. The development would include four levels of underground parking. A community information session hosted by the development group is planned for Sept. 12. The meeting will be held at 10145 104th St. from 5 p.m. until 7 p.m.